Paris (France) (AFP) – When Paris Saint-Germain host Monaco on Sunday seeking to seal the Ligue 1 title, Alphonse Areola will be living his dream, but the young ‘keeper still faces challenges. First, he has to keep out Monaco, who last season ended PSG’s run of four consecutive titles and this time sit second, 14 points behind with six rounds to play. He also wants outsiders to treat a French league title for PSG with respect. 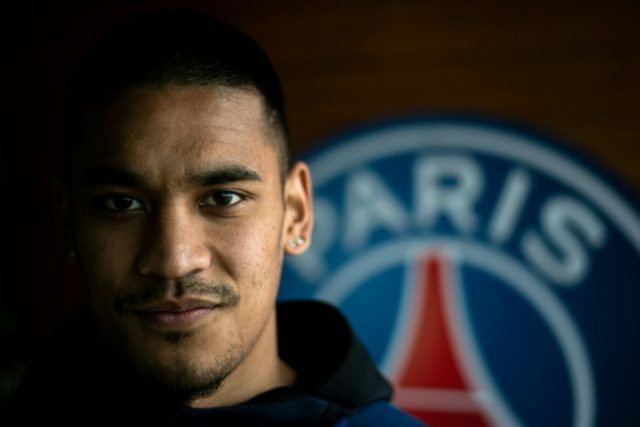 Areola is a “child of the club.” His parents came to France from the Philippines and he was born and grew up in Paris, playing for the “Little Angels” youth team on the Left Bank before joining PSG at the age of 13. “Playing for my club, that’s exceptional and I’m clearly living my dream,” he said. “Now, chasing trophies, that’s even better. Areola went out on loan for three consecutive seasons at Lens, Bastia and Villarreal. He returned last season and was initially behind the German Kevin Trapp. Areola took over and kept four clean sheets in eight games but then came a disastrous run when he let in 10 goals on 11 shots as PSG failed to win in three straight league games in December. This season Areola has become the regular starter but he is not an established star of the sort PSG covet. Atletico Madrid’s Jan Oblak, Milan’s teenage phenomenon Gianluigi Donnarumma and Chelsea’s Thibaut Courtois are among the many rumoured to be on their way to supplant Areola. PSG’s spending means Areola is playing behind one of the most expensive lineups in football history after the club added Neymar, Dani Alves and Kylian Mbappe last summer. Those players were bought with the Champions League in mind, but after edging Bayern Munich to win their group, PSG were eliminated in the first knock out round by the two-time defending champions. Areola has been called up to the French squad by Didier Deschamps, although he has yet to make an appearance he is likely to make the cut for the France squad going to the World Cup this summer. Hugo Lloris, who has 96 caps, and Steve Mandanda (26 caps) were the other two goalies in the last France squad in March. Asked if the Brazilian contingent were the most likely to bring World Cup medals back to PSG, Areola laughed.